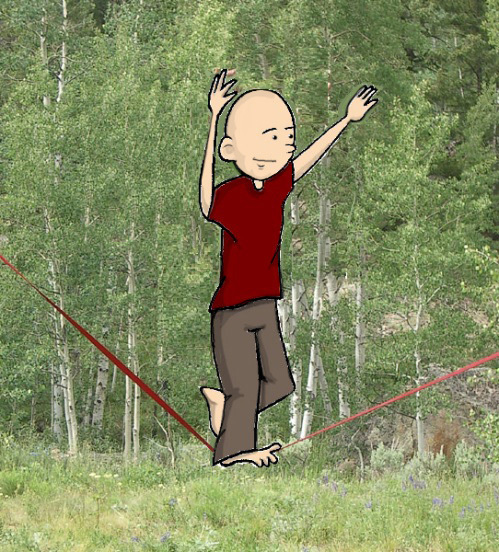 Cartoon to Begin First Ever Around-the-World Slacklining Expedition! “Cartoon to Begin First Ever Around-the-World Slacklining Expedition!” Reposted from Wend Magaizine’s Blog. Mean Joe Green set to become world’s first cartoon to slackline around the world! Mean Joe Green will begin the U.S. portion of the expedition in Portland (Wend HQ) and make his way to NYC. Then it’s off across the Atlantic to Lisbon and across Europe, the Middle East, Asia, Australia and back across the Pacific (through Hawaii) to Portland. 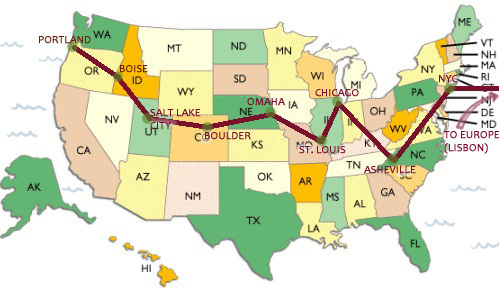 The map of the non-U.S. portion of the trip will be revealed when Mean Joe reaches NYC (still working the legalities of cartoon-slacklining in various countries). ← Finally! 3 Good Ideas to Clean Up the Oil Spill!